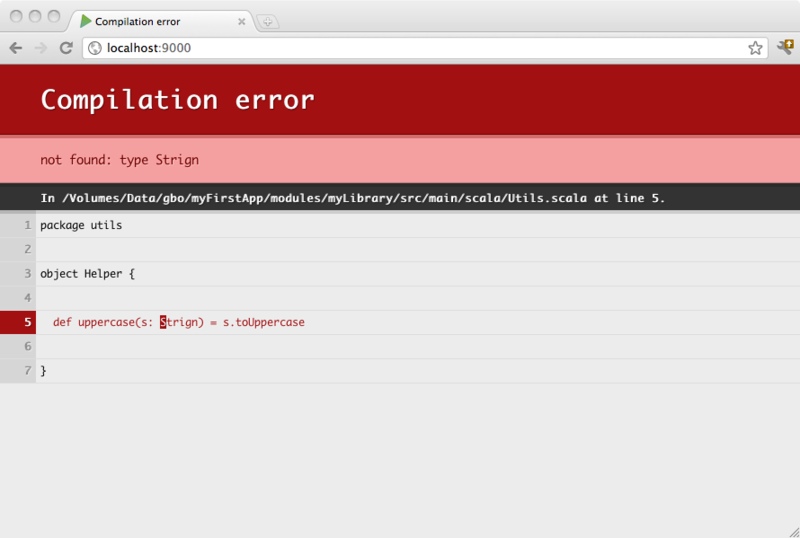 Note: A file in myLibrary/project/Build.scala will not be discovered. So the modules should use only the myLibrary/build.sbt file. As a Play application is just a standard sbt project with a default configuration, it can depend on another Play application. You can make any sub module a Play application by including playScalaSettings or playJavaSettings, depending on whether your project is a Java or Scala project, in its corresponding build.sbt file. Note: Java users can do something very similar i.e.